Lava is ready to launch its upcoming android smartphone, the Iris 456. The Iris456 comes with a 4.5 inch capacitive touch screen display, 1.2GHz dual-core CPU and Android v4.2 Jelly Bean operating system. It measures 134 x 66 x 10.45 mm in size and weighs 147 grams. It is Dual SIM smartphone and features 4GB of internal memory and 512MB of RAM. The 456 packs with 5-megapixel shooter and a 1.3MP imager on the front. The price of the handset is not known yet, but it will compete with midrange dual core phones. 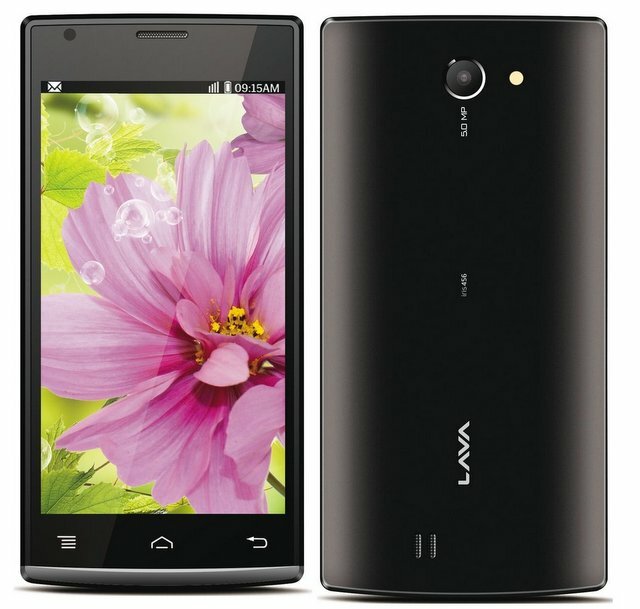 The Lava 456 comes with 30days replacement and comes in White and Black colors.